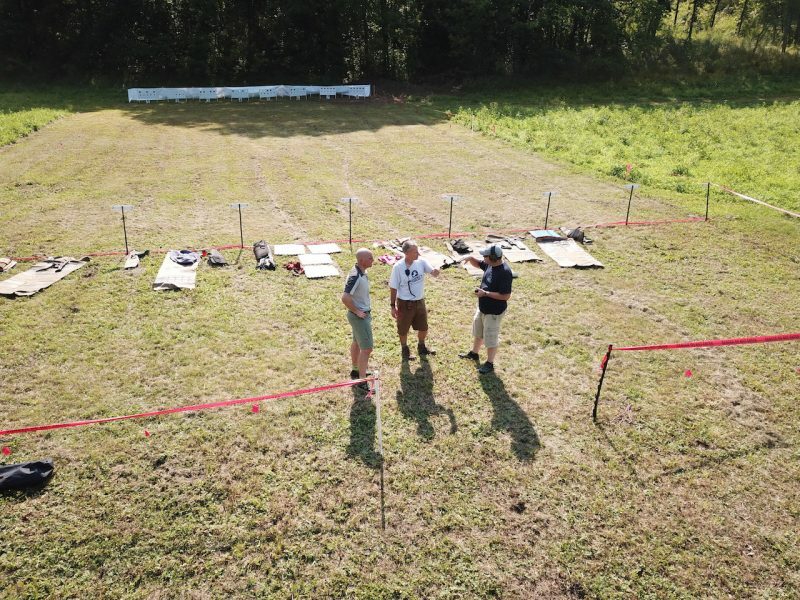 Several historic events for Revere’s Riders as an organization occurred on August 4th, 2018: the first Battle Road Biathlon℠ (combined athletic/shooting event), the first event at Kentucky’s newest venue, a private farm near Willisburg, KY, and the debut appearance of our new reactive target system. 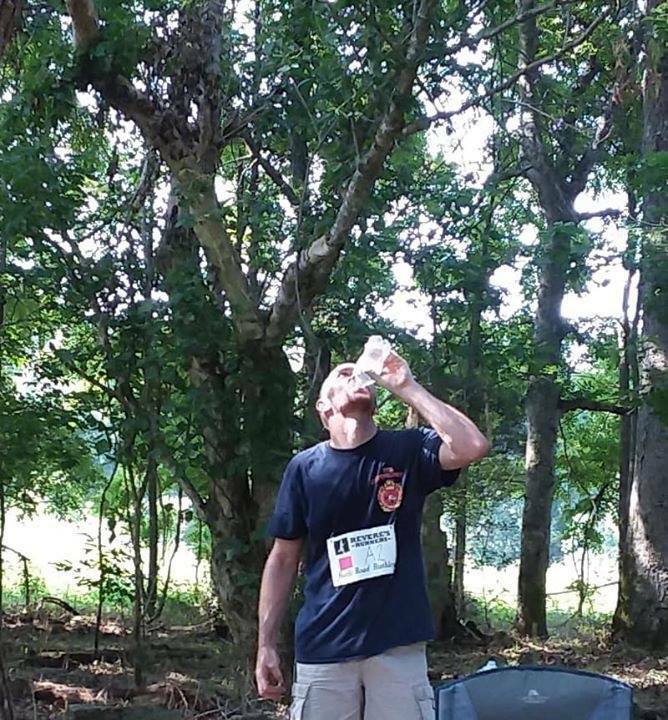 Battle Road Biathlon is the creation of our own Kevin (“Unbridled Liberty”) Fitz-Gerald. 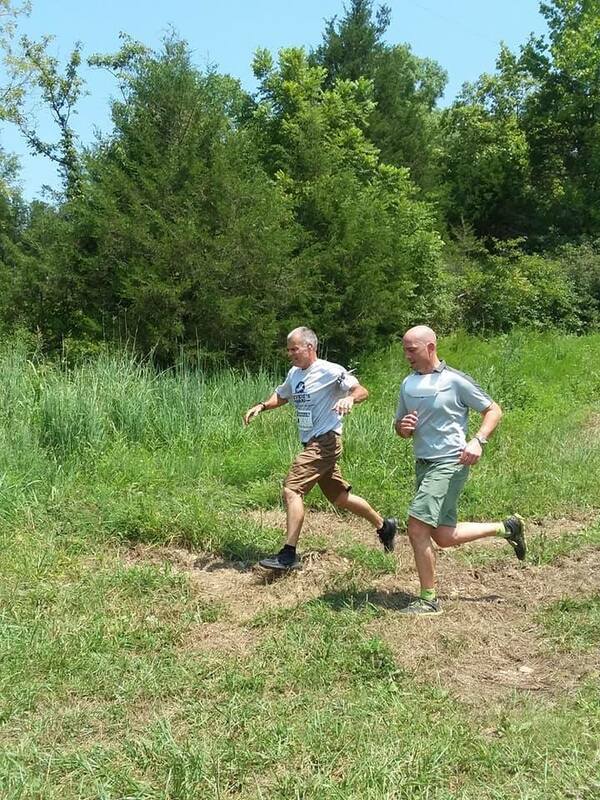 Kevin and Mark Mackey put together the entire event (locating a suitable venue, construction of the reactive targets, creating the course of fire, layout of the range, 1.25 km running/walking loop, penalty loop, testing the reactive targets to make sure they functioned correctly, having professional bibs made up for the participants, etc., etc. ); hopefully it is apparent from the report below that it was a tremendous amount of work with a result that was way beyond what was expected. 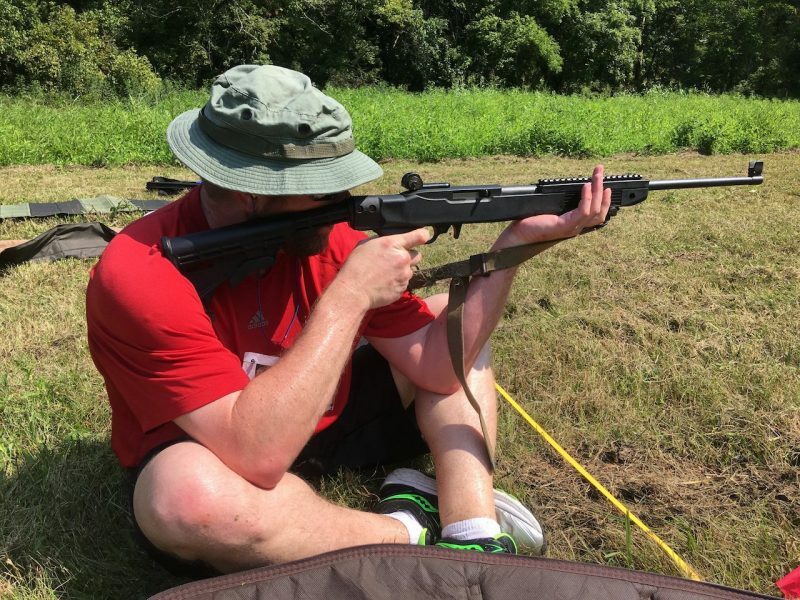 Kudos to Kevin and Mark for putting this event together and pulling us all into Kevin’s passion for combining physical activity with marksmanship. This event will be brought to other states where Revere’s Riders is active contingent upon locating a suitable range. 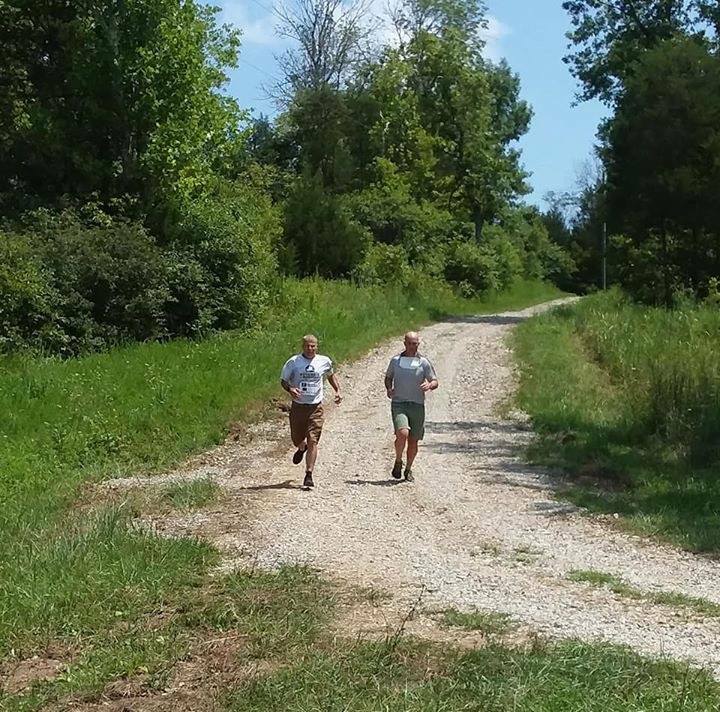 Let us know if you would like to see a Battle Road Biathlon event held in your state or if you know of a suitable range/location. You can give us your feedback at gro.s1555794949redir1555794949serev1555794949er@of1555794949ni1555794949. 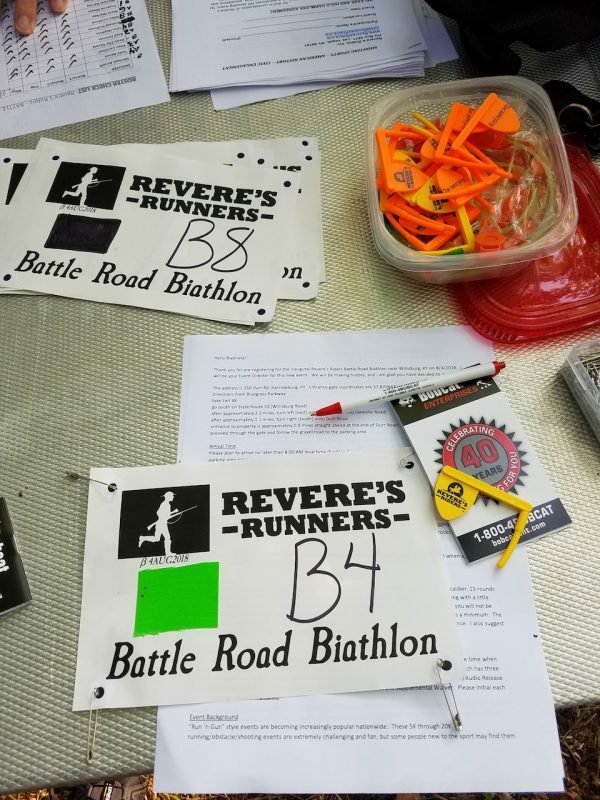 The report below is adapted from Kevin’s internal AAR to all Revere’s Riders volunteers and instructors. 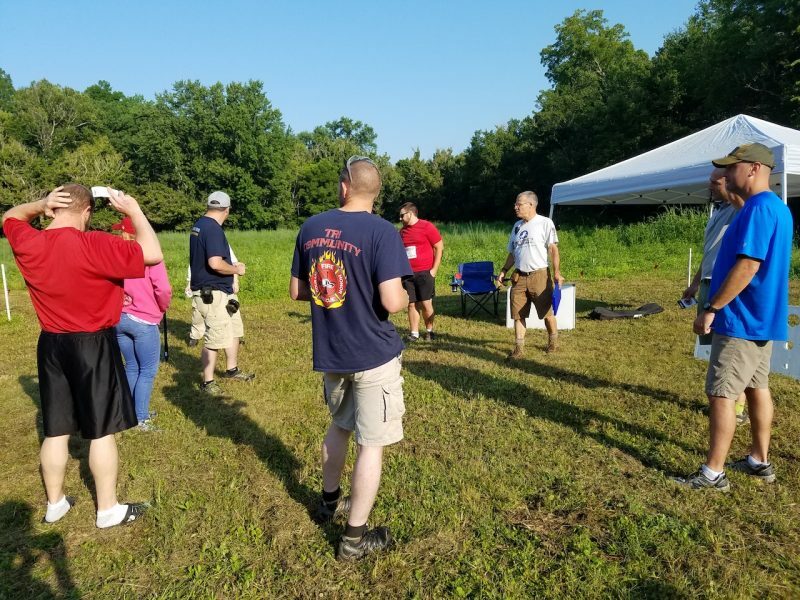 After initial check-in and introductions, explanation of the emergency medical plan, the range limits and a brief explanation of what happened along “Battle Road” on April 19, 1775, we proceeded from our shaded oasis over to the range. 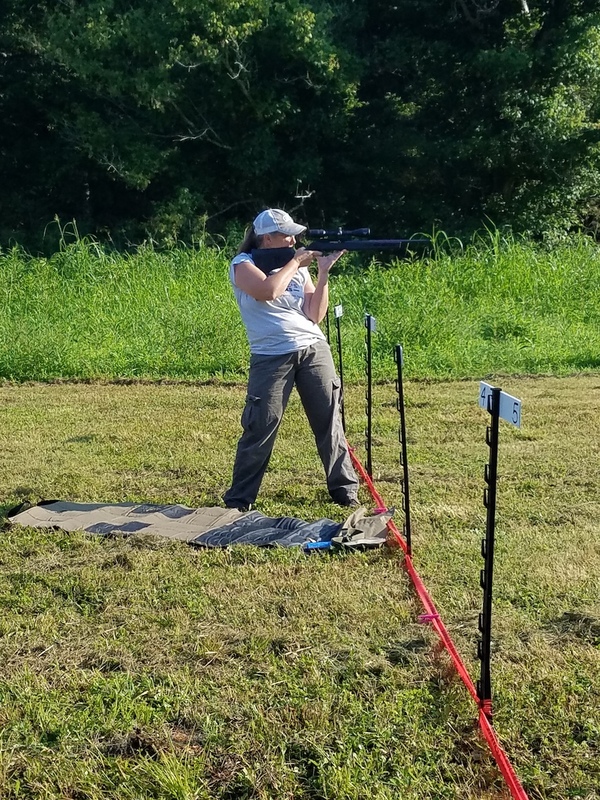 Rayne demonstrated the new reactive targets by shooting the standing stage, as well as demonstrating how to make rifles safe after firing. I had Rayne miss one of the targets on purpose, and I then explained and demonstrated how the penalty tally cards worked, as well as how the penalty lap and tally marker system worked. 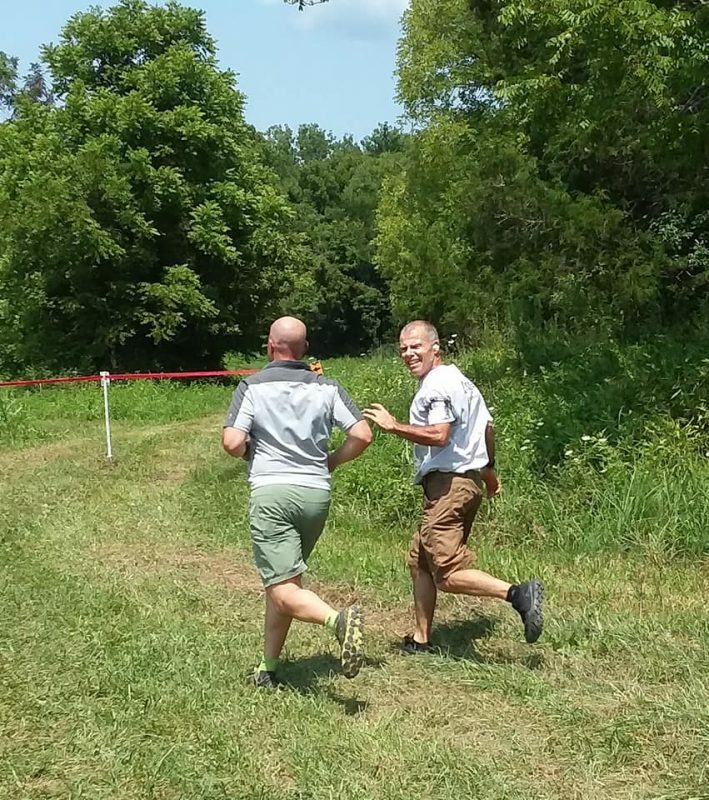 They had to run/walk one lap for every shot missed, using a red bingo marker tethered to a fence post to mark their 4″x6″ penalty cards with one dot for each lap completed. Finally, I gave a standard safety briefing, including the 3 safety rules, and covered hangfires, misfires and squibs. Since they were strictly limited to 15 rounds total (5 for each of the 3 stages), I instructed them to carefully eject any misfires and manually reload them and attempt to fire them again. We had numbered firing points, each with their own numbered target holders. 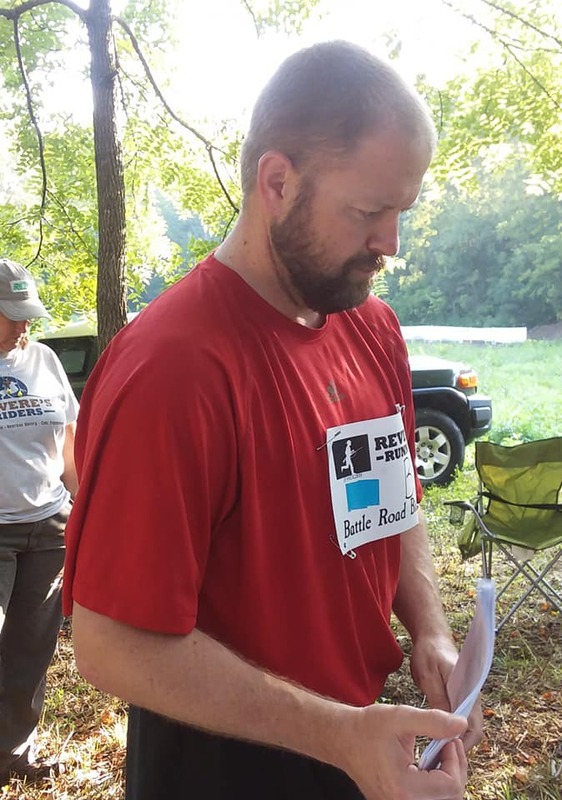 The shooters had race bibs with numbers that corresponded to the firing point/target numbers. I split the runners into 2 squads. 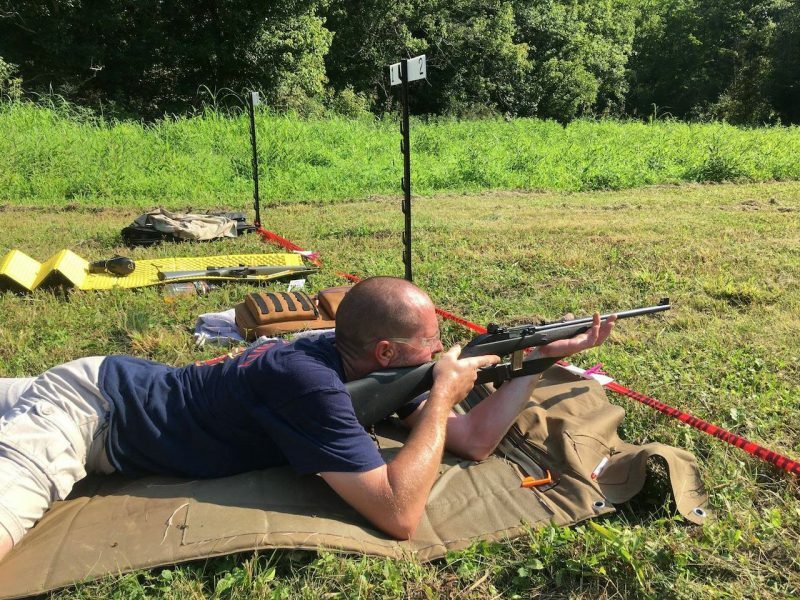 Acton Squad shot at 41 meters and ran 250 meter penalty loops, while Bedford Squad shot at 25 yards and ran approximately 150 meter penalty laps. After the safety briefing, Acton Squad brought their rifles to the line and prepped their firing points. We used a starting gun loaded with a 209 primer as “the shot heard round the world” to start each squad. Our timing was done on an iPad using the MultiTimer app, which starts up to 8 timers at once and then allows you to stop them individually. We did a mass start (all runners in each squad started at the same time), which always creates some interesting dynamics at the firing line and penalty track. For those unfamiliar with our new reactive target system, each target holder is 2’x4′ with 3 rows of 5 holes which are precision cut with a CNC router to accept 0.50″ thick rubber target disks which are precision cut with a CNC water jet. The target holder faces are painted solid white, which provides high contrast with the black disks. The top row of disks (standing) are 4.485″, the middle row (seated) are 3.12″, and the bottom row (prone) are 1.755″. About 4′ behind the target line is a barrier of 4′ high white Tyvek which serves two purposes; it provides a contrasting white background to make hits easy to spot, and it catches the rubber disks to make them easier to find and reset. Round count: 15 rounds; 3 magazines of 5 rounds each was recommended. Incidentally, 15 rounds is all John Stark’s New Hampshire regiment started with at the Battle of Breed’s Hill in June 1775. They used every round to good effect with aimed, accurate fire. And you better believe that their pulse rate and respiration were elevated as the massed Redcoat troops approached the rail fence on the left side of the rebel line. 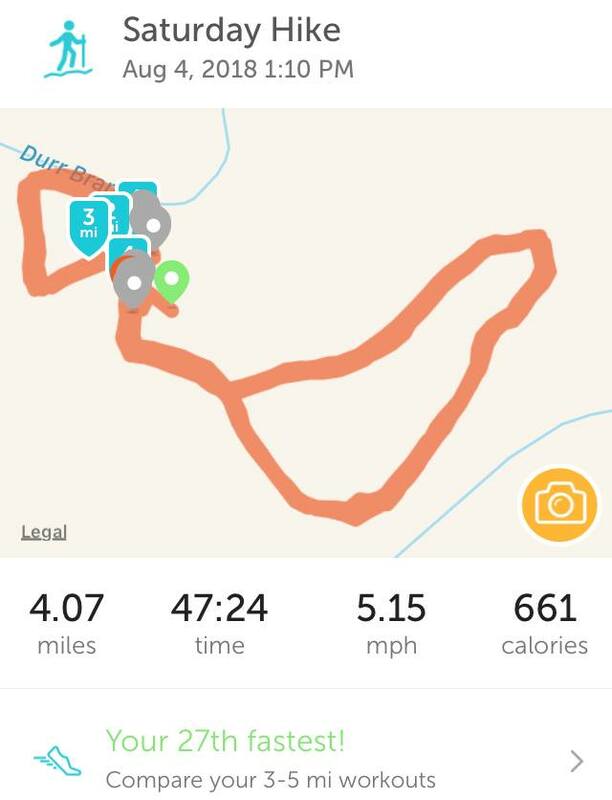 There were 4 running/walking loops of 1.25 km (0.75 mile) each, for a total of 5 km. It was the same loop each time. These loops were on unimproved roads/trails through hilly woods and flat meadows. 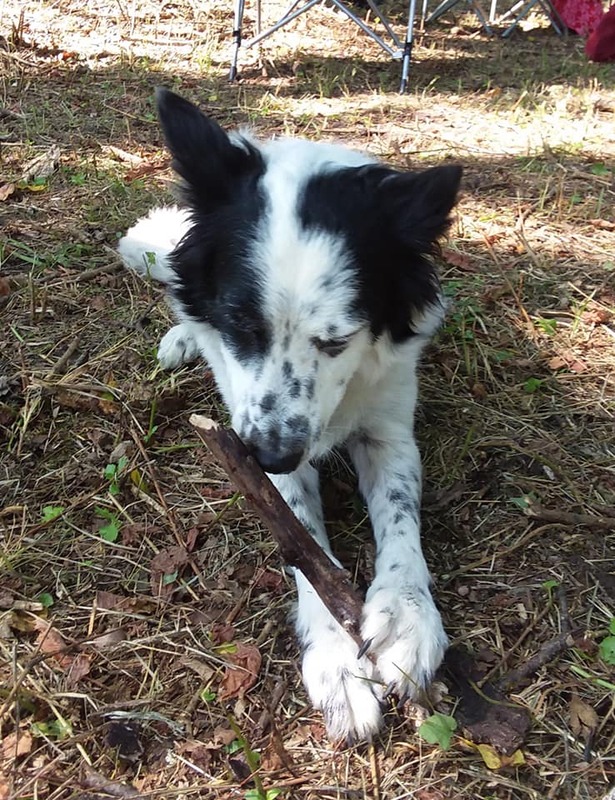 There were some natural obstacles such as logs, but there was no climbing or crawling. Competitors could either run or walk. There was no target scoring; either you hit the target or you missed it. Since the penalty for missing was running/walking extra distance, the winner was determined by time only. 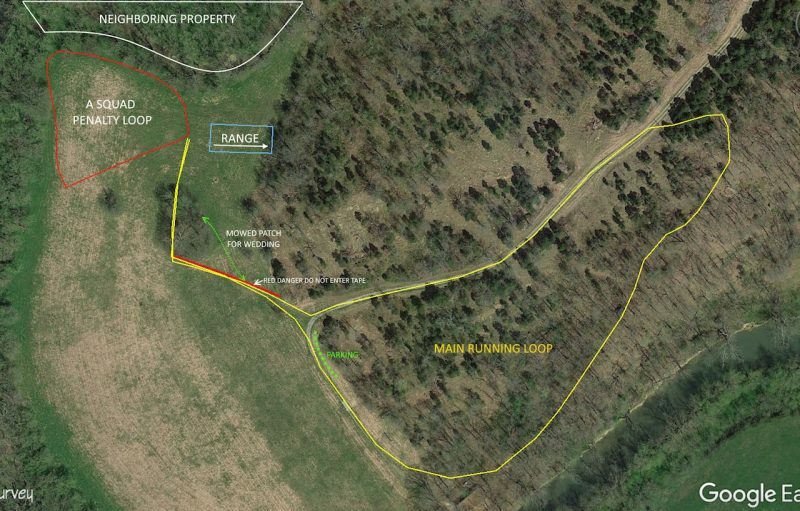 This was the first of what we hope will be many events at this 137 acre farm just minutes off the Bluegrass Parkway. The range is set up in the corner of a large meadow, shooting into a hillside. Currently the range is 20 yards wide and 50 yards long with room for us to shoot at 100 yards simply by moving the firing line back. In the future, there is the possibility of shooting the length of the meadow, about 350 yards. There is a small grove of trees near the firing line enclosing the stone foundation remains of an old homestead dating from maybe the 18th or 19th century, we don’t really know. It does provide a lot of cool shade though, and it is where we had check-in, the start and finish line, and is where everybody naturally hung out.